The rate at which Verge (XVG) is winning this time when other cryptocurrencies are staggering precariously is surprising. The Verge team seems not to be relenting at all especially this period that the crypto space has witnessed massive downturn. One may think it is over, but in its latest partnership, the Verge team proves the pessimists wrong. Today, the Verge community woke up to another euphoric move by the team, when it announced a world renowned cannabis company, Royal Queen, is now accepting Verge. The company, which is situated in Europe is amongst the fastest growing cannabis seed companies in Europe, it has built years of experience growing cannabis seeds in the Netherlands. Royal Queen re decided to launch its own line of cannabis seeds with quality feminized, autoflowering and medical seeds at a very cheap price. Not long, Verge partnered with Panchanko, a company that designs and produces high-end audio cables. The company is known in the music industry for its efforts in producing well-refined audio cables. In the same line, Bamb-U has indicated that it is now accepting Verge, favouring TokenPay as well. To add to the news, the company made known that it has put a 50% discount on every transaction made with Verge and TokenPay. On the side of Verge, even though it is faced with different attacks, at the same time it is trying to proffer lasting solution to it. The Cryptocurrency sees partnership as one major way to shred off the bad talks it has been labelled with. If noticed, after every hack, the altcoin comes up with a partnership, appealing to its lovers and users in the crypto sphere and surely, the partnership may likely spring it up in the community. Even though this huge development is not coming after an attack, there has been cases where Verge’s collaboration is succeeded with a spell. 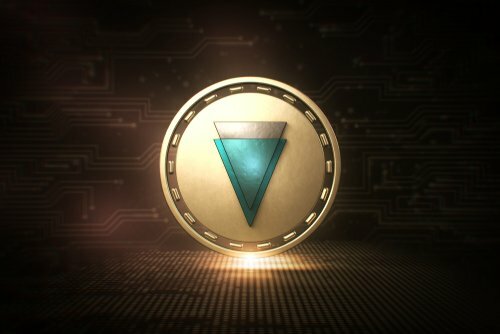 After hackers took over the secured Cryptocurrency twitter account asking for fund, Verge requested for crowd fund worth 75,000,000 XVG from lovers to initiate a mystery partnership with traffic giant website, Pornhub. Not the end, after Pornhub-Verge partnership, collaboration with other companies like Brazzers, TrafficJunky and a listing from Abra exchange surfaced. Also, after the second 51% hack on Verge, it was featured in an alliance with a sauce company where it unveiled a hot sauce, PexPeppers Pueblo Red with it logo on it. Up till this end, Verge has been able to coast several sector of the world industries with its real world use cases. Verge is seen as a viable tool for payment in areas like health and construction sector as the altcoin partnered with DIOXYME and Heightcare. The post Europe’s Canabis Company, Royal Queen, Adopts Verge (XVG) appeared first on Ethereum World News.